Read the original article from Hortidaily here. 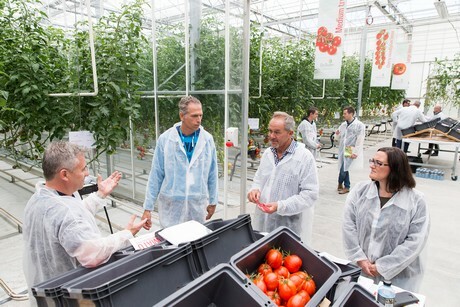 Flavour and quality are the two characteristics driving ongoing innovation in the highly competitive tomato sector, attendees at the De Ruiter Living Proof Tomato Innovation Day heard last week in Australia. Martin Kneebone, Managing Director of Market Research firm Freshlogic, told 80 growers, suppliers, retailers and educators gathered at the annual event that with fresh tomato sales exceeding $1 billion a year, the maturity of the market and large selection, it is a strong indicator of the potential of the fresh produce industry. “It's the closest category that resembles an FMCG and is an indicator for how the fresh produce sector will evolve in the future,” Mr Kneebone said. “It's a mature category with more than 15 Sku's in a typical supermarket so it is highly competitive and consumers are increasingly looking for flavour and quality” he said. 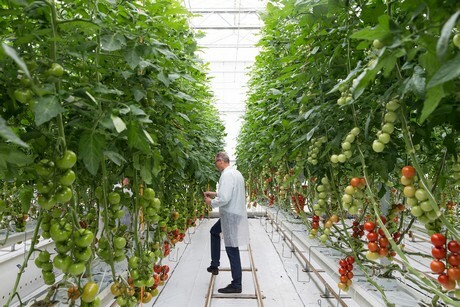 It is this demand for flavour and quality which is driving Monsanto, De Ruiter’s parent company, to invest significantly into consumer insights as part of its tomato research and breeding programs. Significantly, this investment has shown that of all the factors associated in product selection, taste is the one that stands out. Taste, according to Chow-Ming Lee, Consumer Sensory Lead at Monsanto, is a complex chemical interaction between sugar and volatiles which have a key role in flavor and aroma development. He explained that this complex science was used as part of a broader picture into the development of new varieties. “Understanding what drives flavour and the combination that provides the most enjoyable experience for consumers is core to understanding how we can ensure these characteristics are present in new hybrids,” explained Mr Lee. Tomas Lomas, a Tomato Breeder for Monsanto said the company had invested in the mapping of tomato genes that express flavour. This mapping has allowed the company to use traditional breeding methods to select for these genes in the development of new varieties. “Monsanto has completed field trials in Australia to test some exciting new varieties that are showing promise in key global markets such as Europe and North American. These trials will ensure Australia growers have access to the latest diversity in tomato varieties on offer for consumers,” Mr Lomas explained. 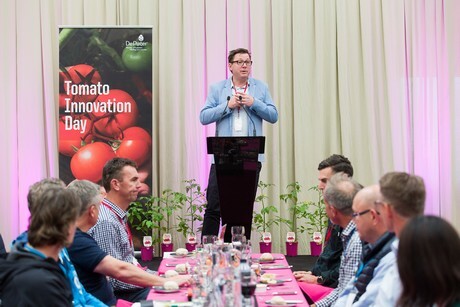 The 2016 Tomato Innovation day was the third event Monsanto had held to educate growers and other industry stakeholders to build knowledge and to invest in the Australian industry.